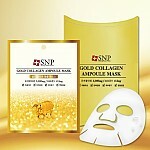 Radiant your Skin Care with the [SNP] 海ツバメの巣アクアアンプルマスク1枚! we aim to provide you best korean products to take good care of your skin, including コスメ Cosmetics, スキンケア Skincare, シートマスク Mask Sheet. Hydra シートマスク Mask Sheet online. - bird’s nest is an actual bird’s nest, but not the twigs-and-sticks kind. It’s saliva. It’s saliva from the swiftlet bird. Their saliva is hard and cement-like, and the birds build their nests with it.